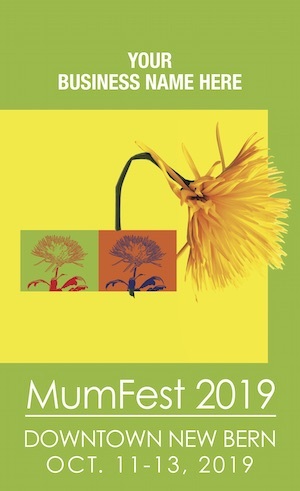 You can have your business or personal name on a MumFest banner! It will hang in downtown through the festival and afterwards it's yours to keep! Or be a Mum Sponsor! You'll help provide mums for the festival and get a banner too! Download the banner form or Mum Sponsor form now. Complete it, printing your name EXACTLY as it should appear on the banner, and email it to info@swissbear.org. Then make your payment securely through PayPal!